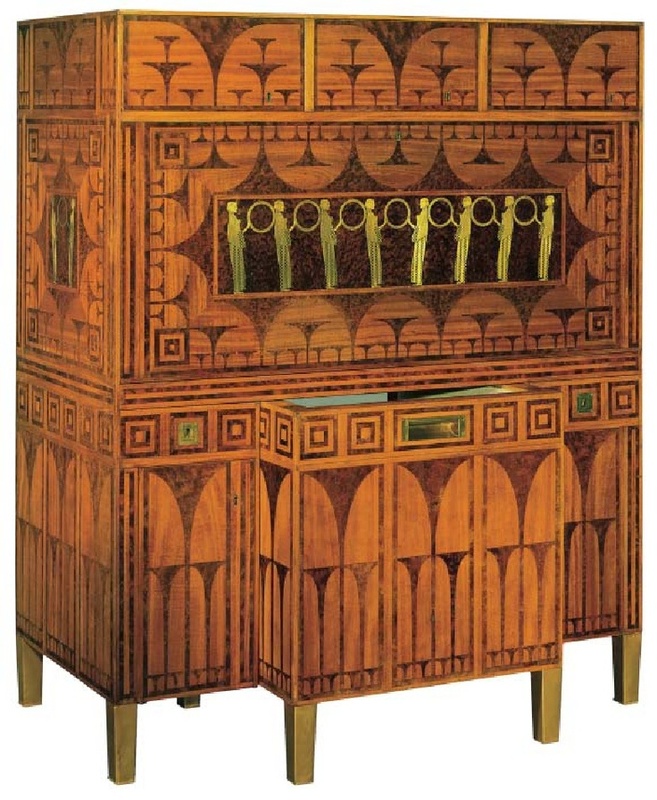 The group of the Wiener Werkstätte was founded in 1903 by Josef Hoffmann and Koloman Moser . 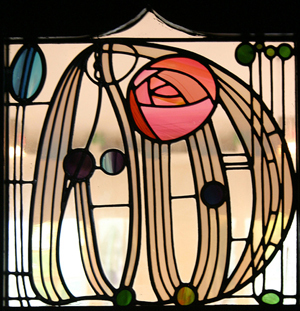 These artists and craftsmen were very much inspired by the ideas of Art & Craft and Art Nouveau (Jugendstil) movements that were made to be used or seen in our everyday lives and made the link with the formal language of Art Deco and Bauhaus in order to create something new, something better. The primary goal of the company was to bring good design and craft into all areas of life within the fields of ceramics, fashion, silver, furniture, and the graphic arts as well as to bring up to date the ancient arts ( crafts), to raise them to the same level as the fine arts ( painting, sculpture, architecture …) . These beautiful objects had to be useful and the Wiener Werkstätte hoped that by doing so, they would reach a wider audience and that is how they laid the foundation for what we now call ” design “. With the industrial revolution and the development of science and technology of the nineteenth century, the future looks bright but on the other hand, the machines are also at the root of unemployment. Workers’ rights are violated, their quality of life, mediocre. The pride they take in their craft is very diminished since the workers intervene only in a small part of the production process and feels very little connection with the finished product. The Wiener Werkstätte in Austria reacts by trying to provide their own workers better working conditions. Through craft production, the worker can be proud of its product and the finished object. A small pamphlet from 1905 outlined their program: “The limitless harm done in the arts and crafts field by low quality mass production on the one hand and by the unthinking imitation of old styles on the other is affecting the whole world like some gigantic flood…It would be madness to swim against this tide. Neverthless we have founded out workshop. 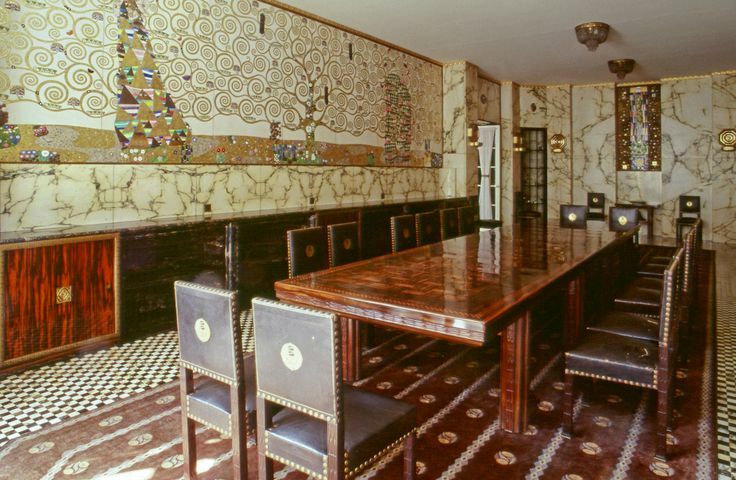 Where appropriate we shall try to be decorative without compulsion and not at any price” From the onset, the Wiener Werkstätte encouraged its patrons to look beyond the material value of objects and to embrace geometric symmetry over surface ornament. We need only to look at Moser’s logo design and the flower motif based on the golden section to see how much these architectural principles dictated the company’s early designs. 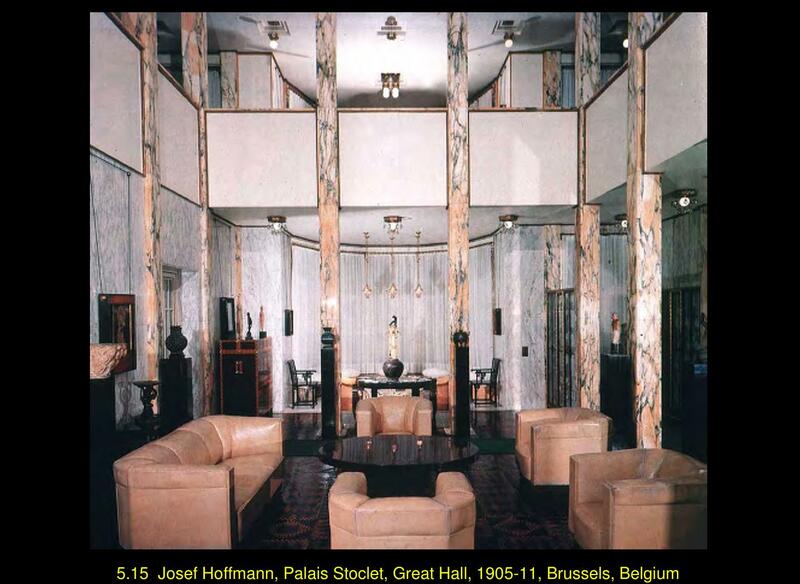 Jozef Hoffmann was one of the most important figures of the Wiener Werkstätte and the greatest achievement of this group is located in Brussels : the Palais Stoclet . Adolphe Stoclet , a Belgian banker living in Vienna , asked Hoffmann to build him a house. Belgium played a leading role in the new Art. 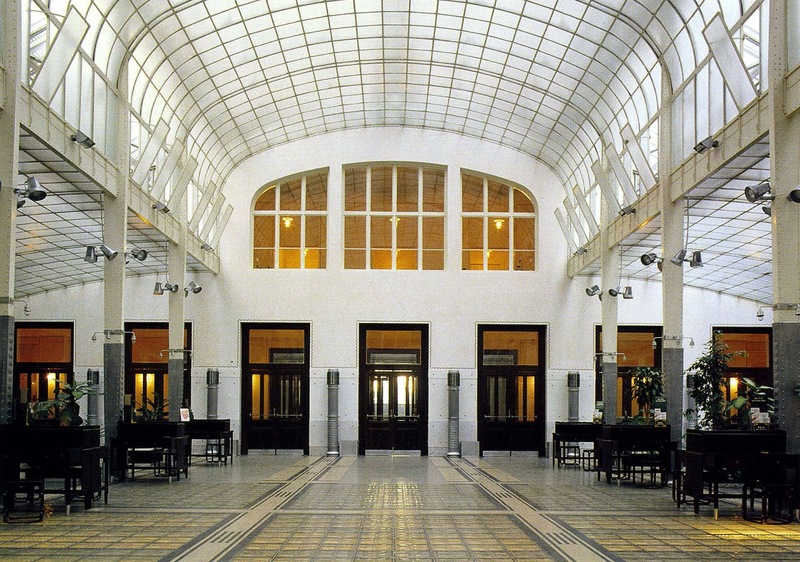 It is also interesting to compare the Art Nouveau Horta , for example, with the Stoclet Palace made ​​in the style of the Wiener Werkstätte by Hoffmann. 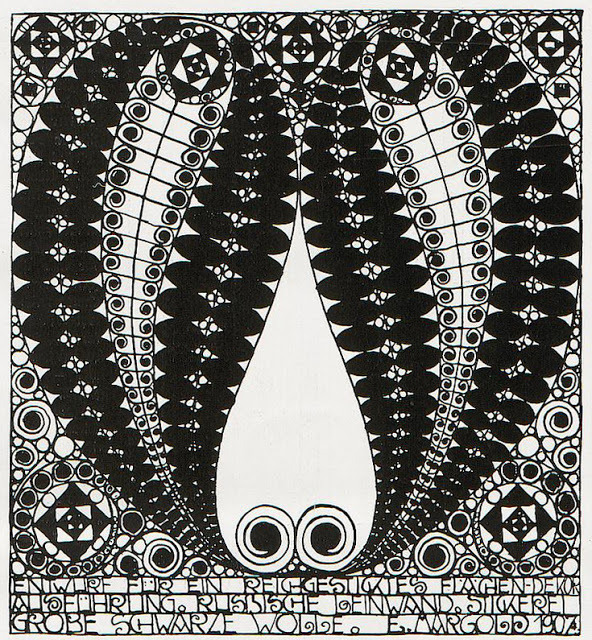 Wiener Werkstätte letterhead with flower motif by Koloman Moser. The Wiener Werkstätte ultimately, was a set of different workplaces or workshops. Each workshop specialized in a particular craft . They had their own color, as an ID. This color was found on the premises , on invoices , correspondence,etc . Each workshop therefore had its specialty , and formed , with all the others, the Wiener Werkstätte . As part of the technical skills , such as woodworking, it is very interesting to observe how these workshops were organized , how artists and craftsmen all worked together and what techniques and materials were used, how all this came together to work efficiently. Objects produced were stamped with the trademark of the Wiener Werkstatte, the monogram of the designer and that of the craftsman, who completed it. The Wiener Werkstätte was to double logo “W” logo and it quickly became a “brand”. It was the first time the logo was associated with a style and a set of imagined objects. In marketing, it was named Corporate Identity. WW was a mark that all identified with the particular style of these products. The logo was also a guarantee of quality and originality. By buying the objects bearing this logo, buyers supported the arts and crafts and art. They thus become partners in improving working conditions of artisans and workers. Today we find this kind of mark in all sectors. But in 1903, the idea of BRANDING was new. 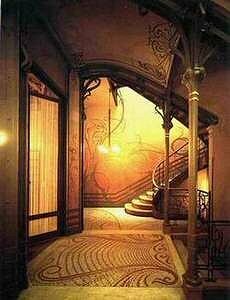 In the Art Nouveau it is possible to identify two movements : the organic and the geometric . The best example of organic style is certainly the work of Victor Horta , among others who realized the Tassel Hotel and the Solvay House. If you look at some pictures of the interior and you will notice the crooked straight lines and the famous ” whiplash” line. 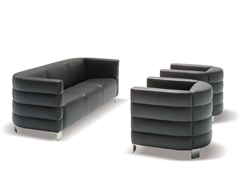 Now compare these with the interiors designed by the Scottish artist Charles Rennie Mackintosh. 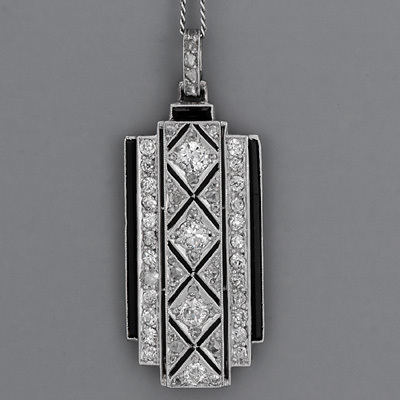 It uses simple geometric forms , particularly the square. The WW deepened the latter style by going further . The architect Jozef Hoffmann also chooses to work with a lot of squares. 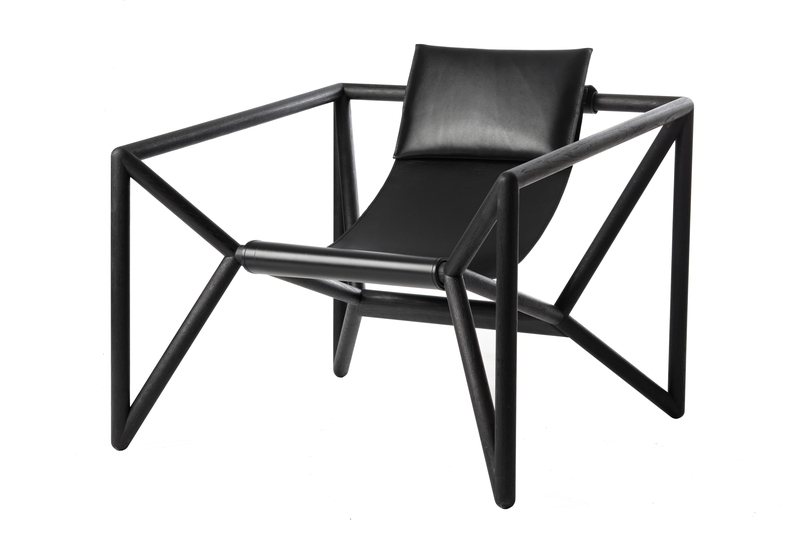 These geometric shapes will be exploited even more refined in styles such as Art Deco and Modernism , thinking, for example in the work of Le Corbusier. Hoffmann works extensively with optical effects. Each main axis is the link between the garden and the house. At each location, it plays with perspective and the perspective of the visitor. 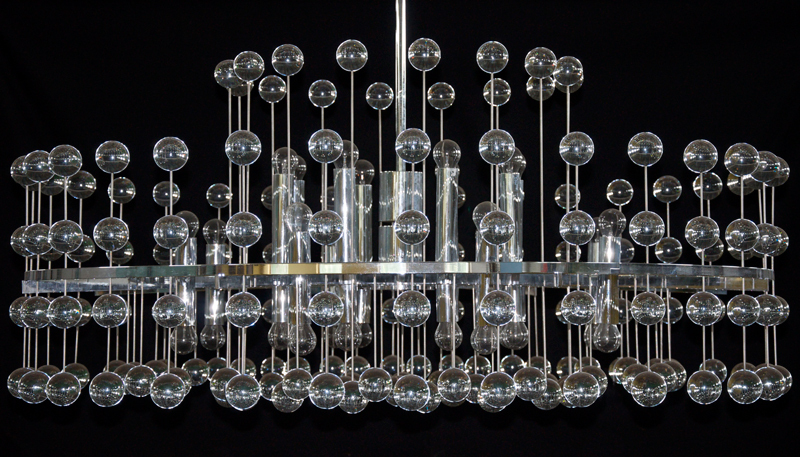 It also creates different views that allow it to emphasize the elements of his creation. Different themes frequently in the ornamentation of the tower and decoration parts (the Klimt frieze) such as the tree of life, paradise and the symbolism of spring. The tree in the garden below which a bench seat for the family also recalls these familiar themes. It is around this tree that meet and converse gods! The Stoclet family had a large collection of artefacts and Hoffmann considered each piece of the collection. They all found their place in the design of the house. The Stoclet filled with grace their role as patrons. If a great musician passed in Brussels, he often received an invitation to come to the villa one evening with special guests. 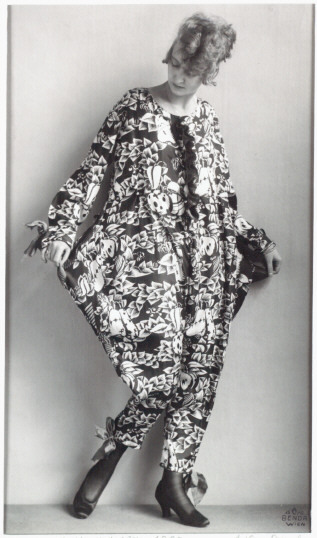 WW even made clothes to fit with their interior design. The famous Wiener Werkstatte Flatware from 1904. The stark geometric shapes and rectilinear design makes this silverware set one of the most simple, striking pieces of common utensils that one will ever see. This set shows a greater understanding of not only visual design principles, but also of function, metal work, and the culinary arts.